DOP pump and power pack, ready for commissioning. 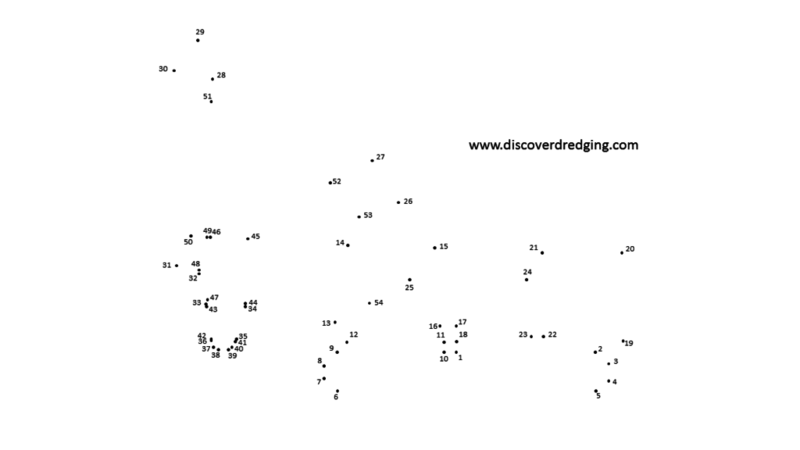 This website provides me a platform to share my knowledge about dredging as far as my experience reaches. Sometimes, I do training sessions with colleagues or clients. They give me the opportunity, as an academically educated dredger, to experience how our figments of imagination work out in real life. People from different countries and lifestyle share their experience with our products. I really enjoy those sessions, they give me feedback on my normal work. Some of the topics on this website are directly related to the topics I present on those sessions. One of the recurring issues might not be that obvious at first hand. 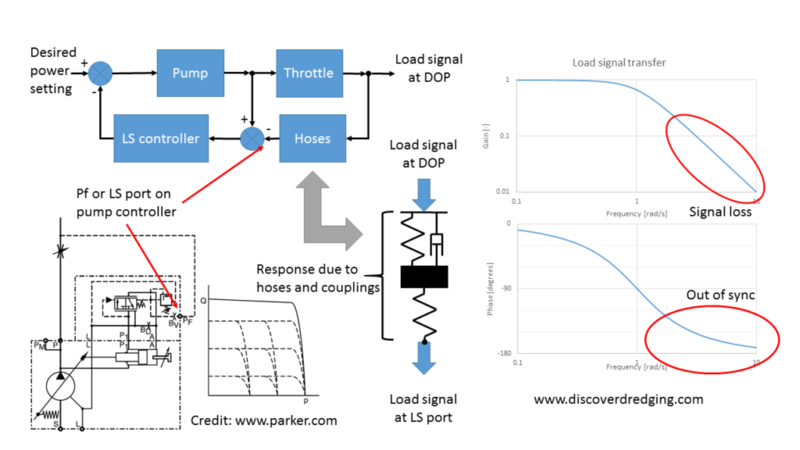 So, this post results from this feedback, aptly concerning the feedback loop in a load sensing circuit in a hydraulic drive system, specifically for a DOP. The most common arrangement for the traditional DOP drive is to have a separate (preferably co-purchased) hydraulic power pack1. 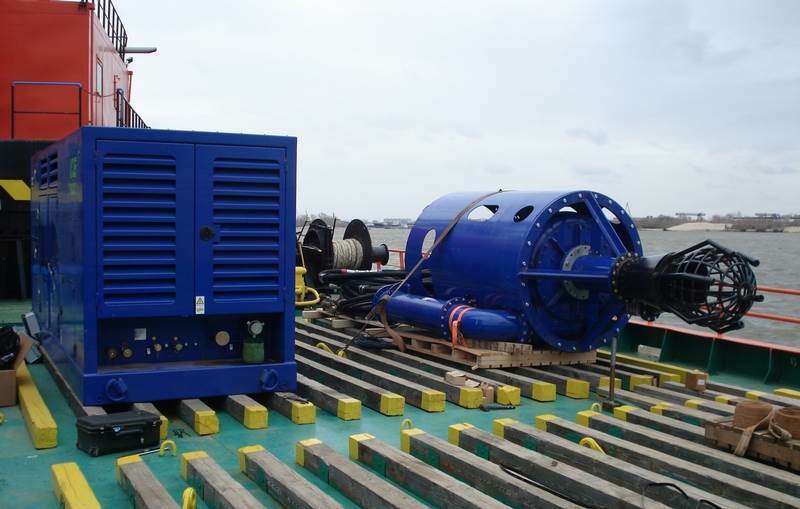 The power pack we supply is specifically designed to drive the dredge pump in the DOP. 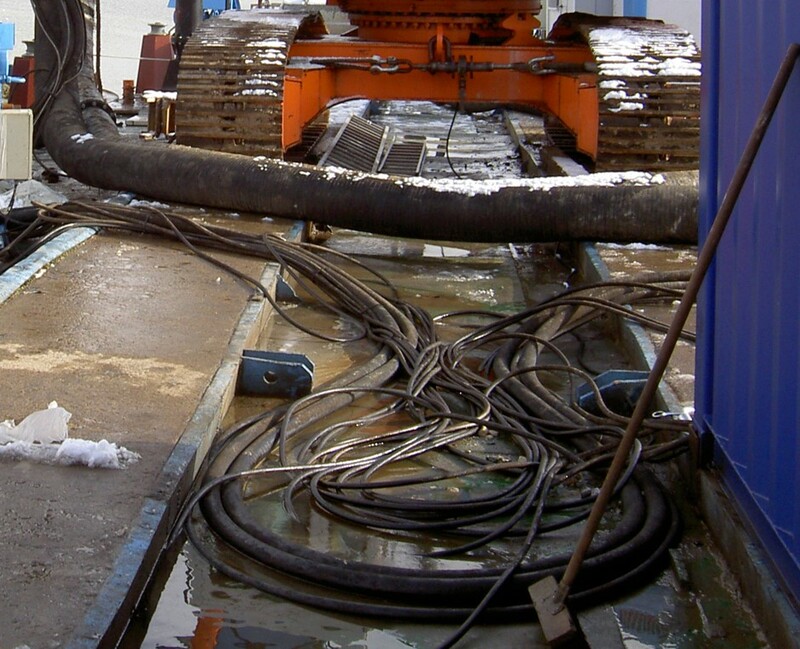 This requires the extra investment of a hydraulic power pack. 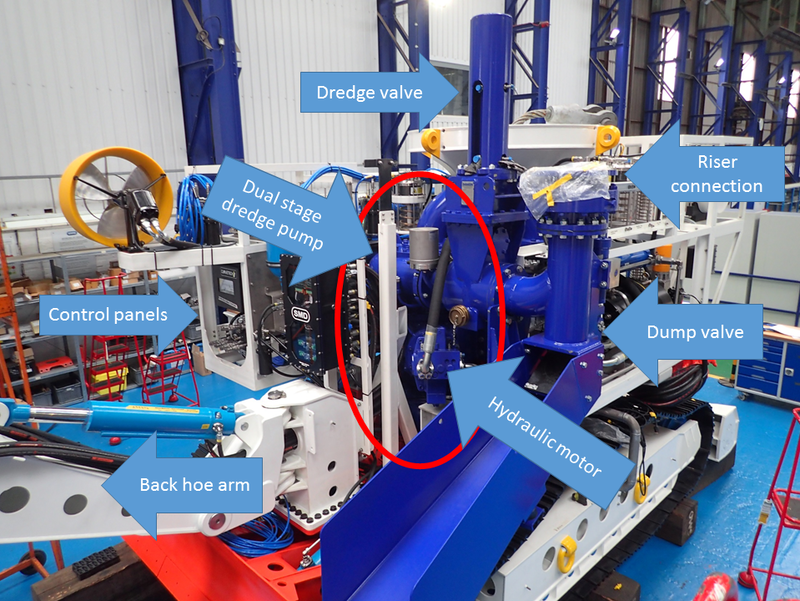 Whereas most hydraulic cranes and excavators, that can handle the DOP pump by weight, will also be able to divert some hydraulic power to an auxiliary connection or so called Power Take-Off or Aux PTO. Especially when the excavator is working with a standard suction head, not much motion and forces are required for other functions. So, naturally clients tend to propose to use their DOP driven on the hydraulic PTO. This could be possible, but only under very strict conditions. And here comes the advice after commissioning hundreds of those units: ‘Don’t use the load sensing feature of the hydraulic PTO!’ Why? Let’s study the hydraulic diagrams. Hydraulic diagram DOP pump and power pack. The standard arrangement of a DOP is quite straightforward. As long as you do connect them in the right fashion. By controlling the angle of the swash plate, you control the delivered flow from the hydraulic pump and the rotational speed changes accordingly. Any load changes at the dredge pump result in pressure changes in the circuit, without changing the pump speed. Typically, excavators do have a different power characteristic. When freely raking the stick, they encounter little resistance at preferably a high speed to reduce cycle time. When they hit the ground, the resistance or load increases and they typically lower the flow to maximize power delivery. They do this by connecting the pump line to a control line that influences the angle of the swash plate. Effectively, this results in a feedback control loop. Infographic feedback control loop in a load sensing circuit. And here comes the trick. Feedback control loops are designed to be stable. 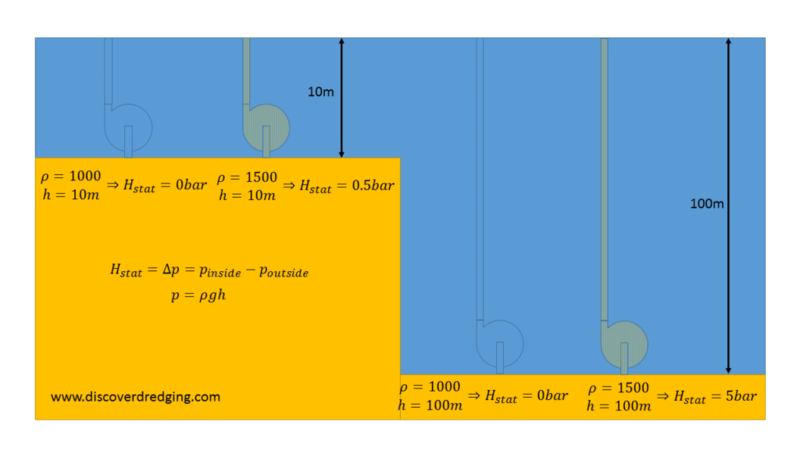 But the varying load at the dredge pump, in combination with the masses in the hydraulic lines, the springs in the rubber hoses and the damping of the flow losses, make the sensitivity of the control loop irrelevant. 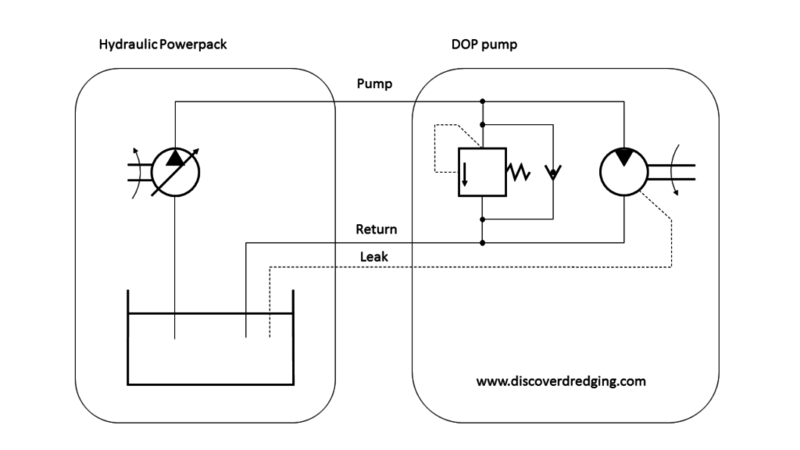 The signal from the dredge pump load is lost and becomes out of sync with the required action at the LS port of the pump. Any random static will make the swash plate rattle and usually in an instant, the drive stops. 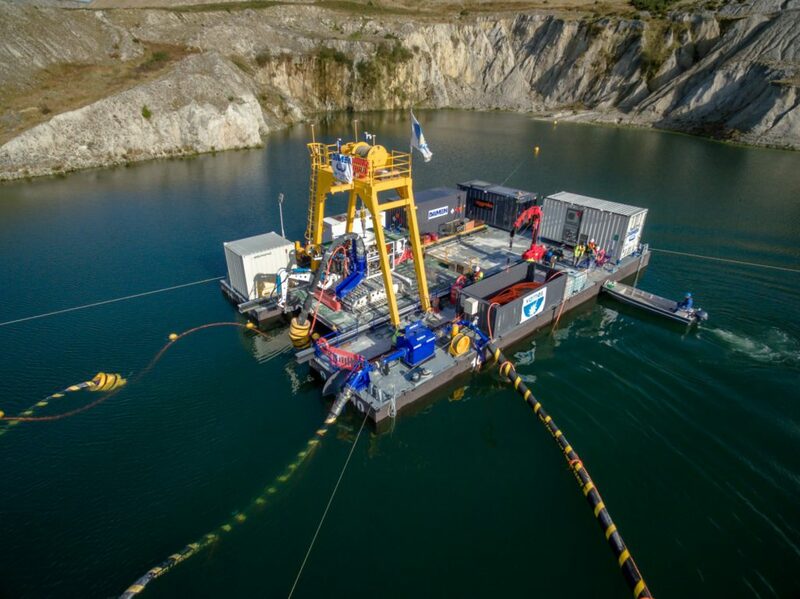 Other than maybe a blocked dredge line, no harm is done and service calls to our colleagues2 will resolve the issue: ‘modern excavators will allow you to turn of the Load Sensing feature’. Or, purchase said dedicated hydraulic power pack. 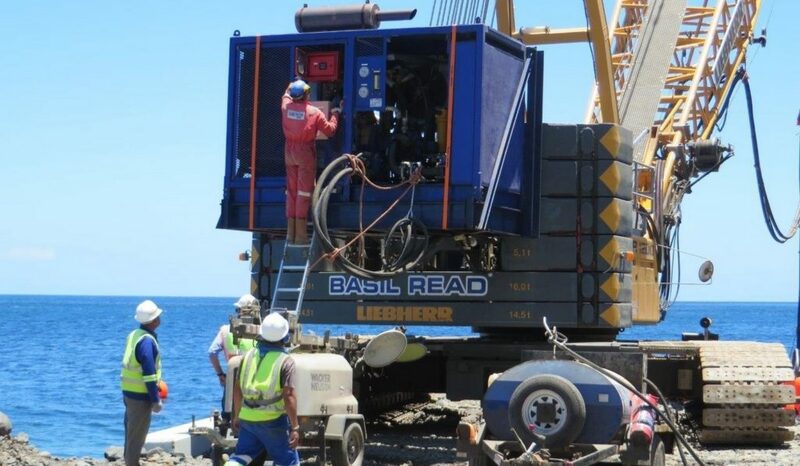 Damen hydraulic power pack mounted on a crane. I would like to acknowledge Wim Roeterdink for his advice and review of this post. He is an expert on hydraulics engineering and he is always available for assistance in your particular hydraulics problem. A DOP pump1 and it’s drive go together like a horse and carriage, you can’t have one without the other. Basically one product, but two units. Whether hydraulic or electric driven. OK, in some cases, you could use the extra power take off from the excavator or crane, but you still have to hook them up, before they can do any useful work. And connecting the DOP to its drive is an elementary job, that can cause some headaches, when not done carefully. The modern electric drives require some more certified wizardry, that is beyond the scope of this post. Hydraulic power packs have their own peculiar quirks, that are worth mentioning here. So, even with such a simple diagram, still things can go horribly wrong. Off course, don’t switch the ‘Pump’ and ‘Return’ line, you will blow some seals on the motor. Most common is a failed connection of the Snap-tite®. When it is not completely tight, the internal valve is not completely open and you have a lot of resistance. So a lot of power on the power pack gets converted to heat on the connection and no performance on the DOP pump. Another common problem is the resistance in the leak line. This can cause terrible things on the hydraulic motor. One client followed all the instructions in the manual and all advise from the service department, but still could not coach his new DOP to work. Lots of flow at the power pack, but almost no pressure. And the impeller could still be turned by hand. (Warning: never put your hand in an impeller when there is power on the drive!) One of our engineers went over to have a look on board. Well, here is an impression of the situation on deck. 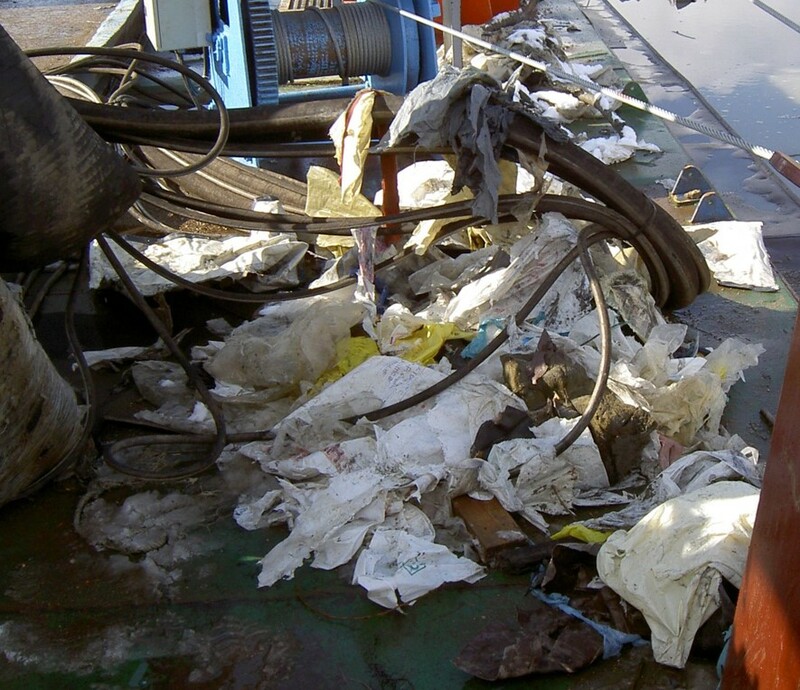 He quickly began cleaning up the mess on deck and uncovered how the hydraulic hoses were actually connected. Well, that makes sense! Now it was easy to see, why the DOP was not working. Solution, connect the lines correctly and dredge away. Oh, and educate the crew about a tidy workplace. Well, after this first basic lesson in connecting the DOP, you are ready to connect your own DOP project. It’s easy as child’s play.